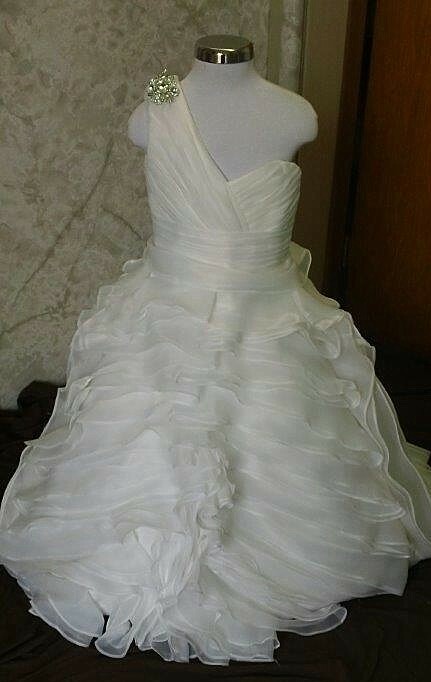 One Shoulder Organza Flower Girl Dress. 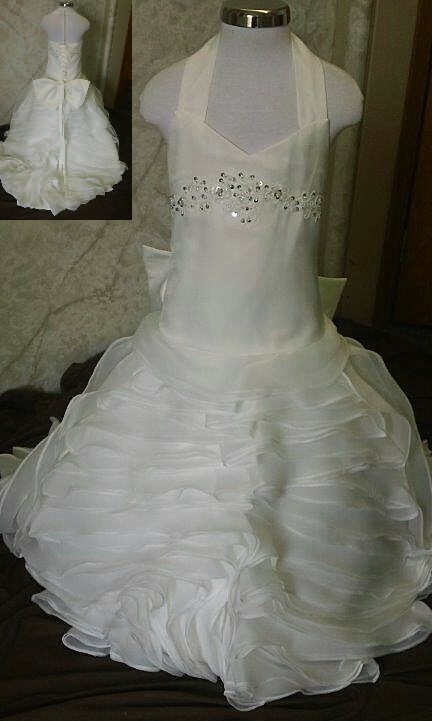 Mother daughter one strap flower girl dresses. 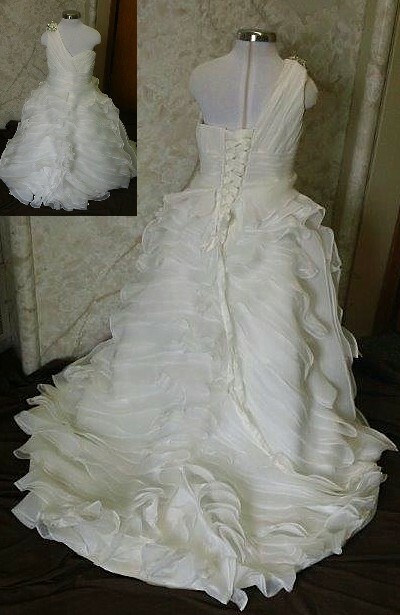 Darling One Shoulder Floor Length Organza Dress with brooch accented sleeve. 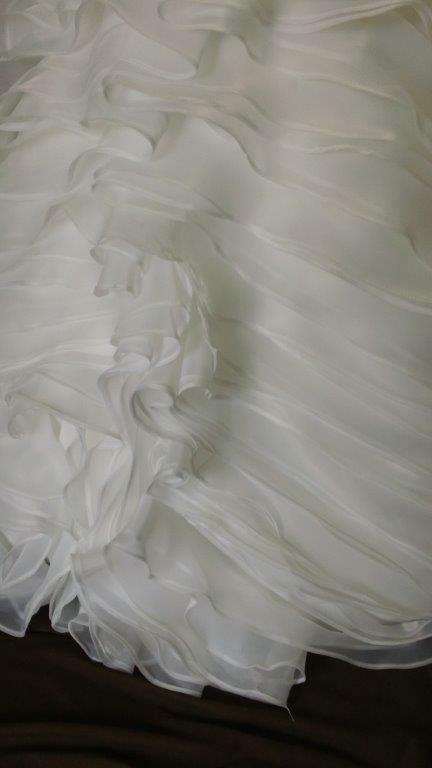 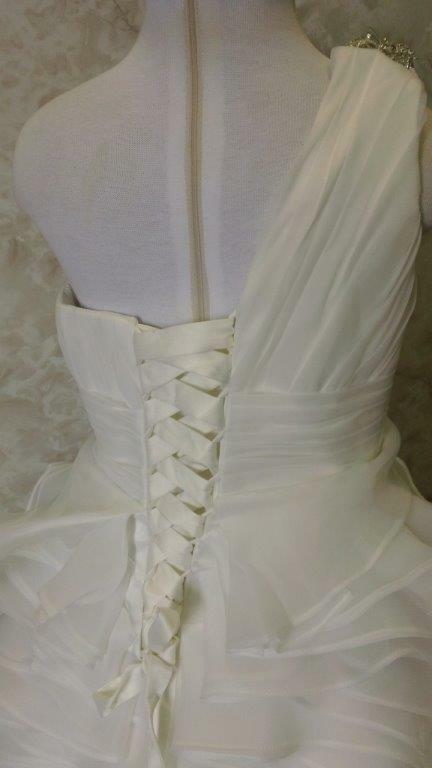 ruffle flange skirt Brides instructions for her daughters matching flower girl dress. 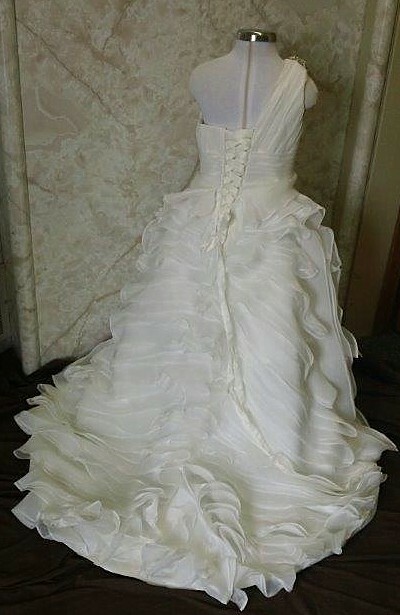 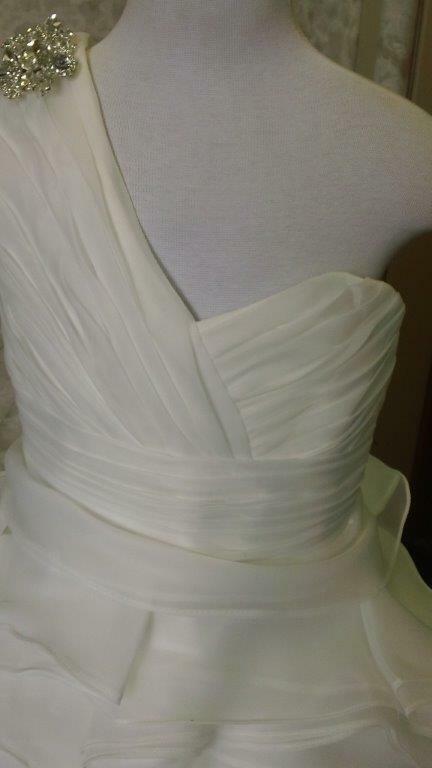 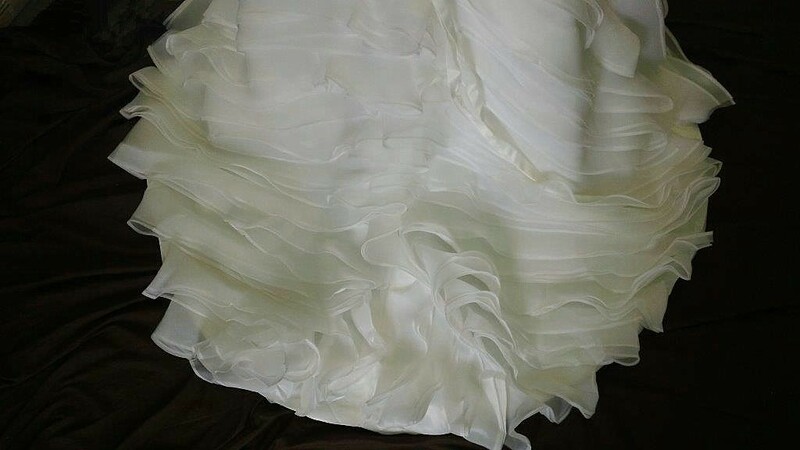 This bride ordered 2 dresses in the same color, and fabric with flange skirts. 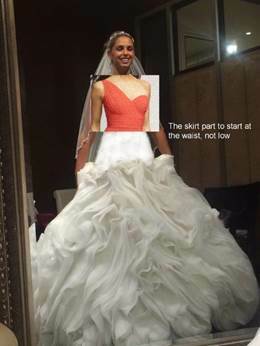 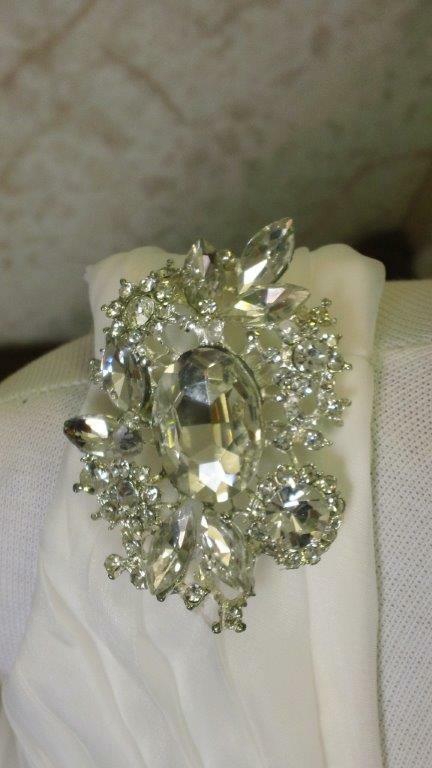 Inspiration photos received to create a matching flower girl dress for her daughter.